R.G. Bud Phelps, a retired accountant, is the author of historical fiction books and accounting books. He was born in Gibbon, Nebraska, in 1932, and lived there until his family moved to Curtis, Nebraska, in 1944. He graduated from the University of Nebraska School Of Agriculture (UNSA) in 1949, the only agriculture high school in the state. He served in the U.S. Navy from 1951 to 1955. He married, Patricia Kelly, in 1955. Today they live in Lincoln, Nebraska. Bud and Pat enjoy spending time with their family including three daughters, three sons-in-law, four grand-kids, and one great-grandson, who also all live in Lincoln. 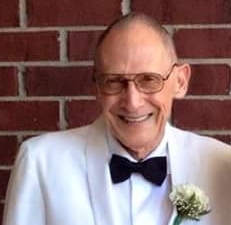 Bud began his career as an accountant and business advisor when he graduated in 1958 from the University of Denver with a BSBA degree, emphasis in Accounting. He had the good fortune of training at a public accounting firm, Price Waterhouse, while attending the University of Denver. He worked for the manager of the Management Advisory Service (MAS), from whom he received tutoring that would prove to be one of the most valuable experiences of his career. His mentor was a stickler for accounting controls and emphasized the need for understanding practical accounting. Bud has carried over this disciplined, but enlightening approach to business and accounting in his own practice and teachings. Over the space of more than 50 years, Bud gained a rich background in accounting and draws on it as he counsels small businesses. With Bud’s help, hundreds of businesses have learned how to use accounting systems and financial statements to make a measurable difference in their success. Because of this experience Bud was able to author two accounting books that also has helped many gain a better understanding of basic practical accounting. Bud’s new life adventure is writing books. Since publishing his first accounting book in 2006, “Cover Your Nut” – Practical Accounting in Plain English for the Real World, he has published accounting books and (‘life series’) historical fiction books as well as historical fiction mysteries. Bud’s personal writing philosophy is to rely on his own experiences as a guide, keeping the books both interesting and easy to read.